What was once a baffling, inconceivable situation has now become my sad reality. What I term an ‘Almost Vacation’ is a vacation that, for whatever reason, doesn’t happen. An ‘Almost Vacation’ warps a tangible holiday into a failed plan. I need a vacation, stress is out of control, and exhaustion is an every day state of being. Excitement and anticipation for relaxation is at an all time high and basically I’m Looney Tunes for a faraway break. The tickets were booked, the rental car and accommodation were arranged, and the time was taken off work. 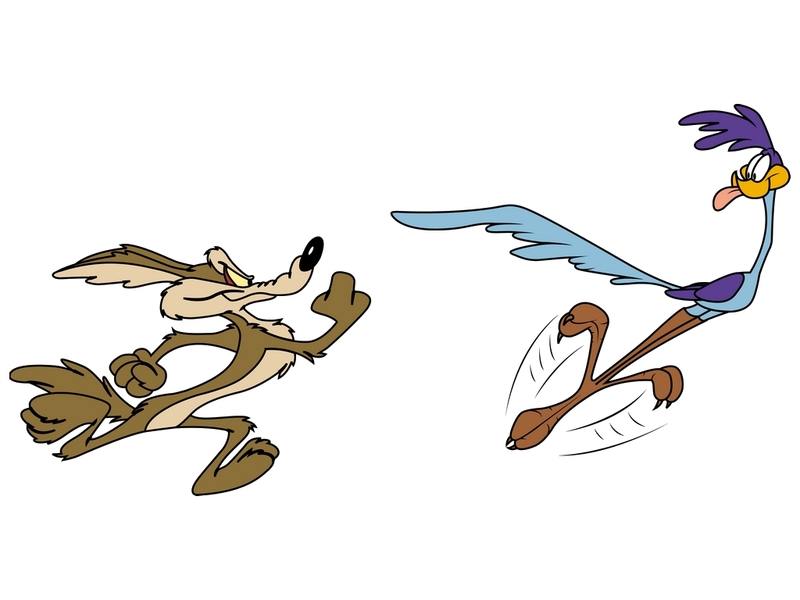 Then, as if in a Wile E. Coyote and Road Runner cartoon, my vacation plummeted over a cliff….whoosh…BOOM! and the plans for this trip were crushed with an inflatable boulder and flattened into a pancake. I’ve just experienced my first ‘Almost Vacation’. I’m not new to the idea of ‘Almost Vacations’, though as an adult I promised they would never happened to me. While I was privileged to broad and frequent travel as a child, there were occasional and understandable let-downs. My family almost lived in Kenya, we almost lived in Hawaii, we almost went to the Mall of America... Life, or reason, got in the way and these trips, these experiences, never happened. After the disappointment of past ‘Almost Vacations’, I promised myself that I would always make my every travel plan happen. Maybe I was naive, maybe I’m a control freak, or maybe I just love to travel. Now that my own life, and the life of a very sick loved one, has gotten in the way of my scheduled trip, I too was forced to put aside my travels for a later date. ‘Beep Beep’ says the Road Runner of the cartoon played in my mind. This vacation, like the elusive character, has tried to get away but with the help of an ingenious Acme contraption, Southwest Airlines, I will reschedule. Southwest not only provides great service and humorous pre-flight safety briefings, but is also inexpensive, accessible, and…they allow you to rebook your flights without penalty. We’re looking forward to the trip to Florida, which will hopefully happen soon, and are using this brush with ‘Almost Vacations’ to remind us how lucky we are to be able to travel so widely, how blessed we are to have understanding and encouraging family and friends, and how grateful we are for the hospitality and generosity of our Floridian hosts for allowing us the flexibility to postpone. Even if I have to evade the antagonist cartoon coyote (life happening) or catch the elusive road runner quarry (vacation), I’ll employ jet-powered roller skates, a superhero cape or a rocket sled to ensure this will be my last ‘Almost Vacation’. Welcome to You.It was a excellent blog for me.I read all this and found most valuable information about faraway pillow.